Happy Thursday, everyone! I love Thursdays because that means it’s almost Friday! My favorite day of the week. I wore this outfit last Friday when going out to dinner with some friends. I love the subtle, little, white dots on the dress because it gives the LBD some character. I guess you could say I’m also a huge fan of a full, flirty skirt too! Lastly, of course my necklace is messed in a majority of these photos. Such is life, and honestly, it doesn’t even bother me…just letting you know that I know 😉 Have a lovely weekend! This week’s Spotlight is Kristin from Doll Parade! I absolutely love this girl’s style. 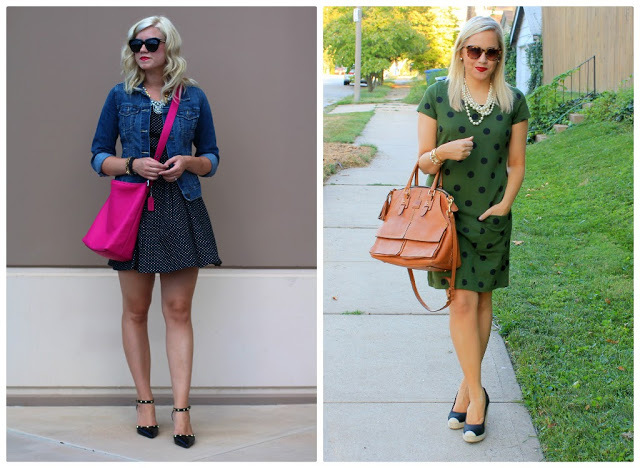 The tones in her outfit are Fall perfection, and that polka dotted dress is simply a dream! Be sure to stop by her blog and say hello! NEXT WEEK: Next week our Spotlight Weekly theme is… BLAZERS! A total Fall staple, and pretty much a piece of clothing that looks great with everything! Dresses, denim, shorts…and anything ever! See you next Thursday 🙂 Thank you so much for reading, and for linking up! So cute! Love the dress with the denim. That pink coach bag is gorgeous! Really love the sparkle of pink! I own probably TOO many polka dotted items. They're just so fun! 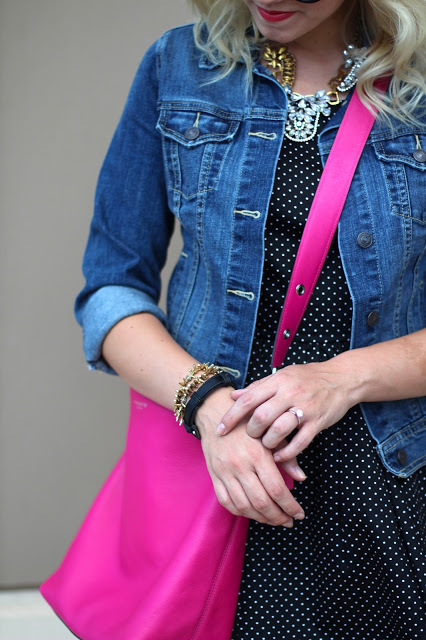 Polka dots are one of my top prints and I can never resist it at the stores. Great look! so cute! love your shoes and that bag! 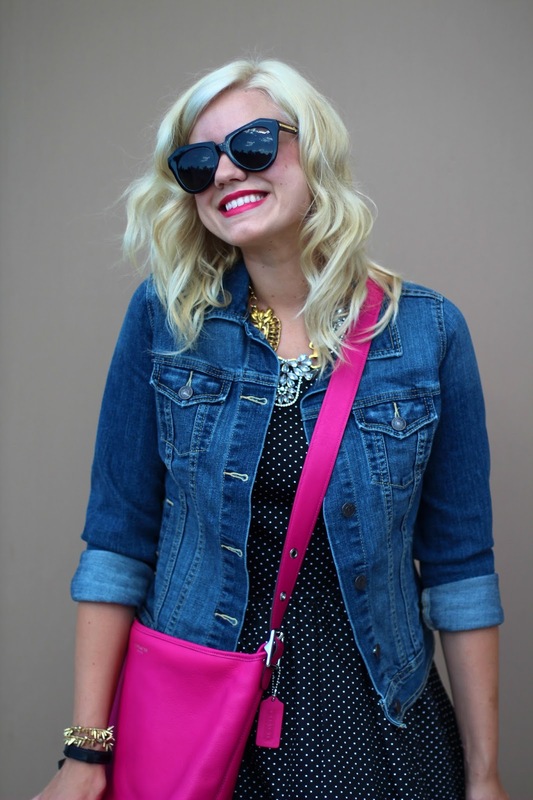 Love that bag, perfect pop of color!! Happy almost Friday my friend! I love your dress. I basically love anything with polka dots. This outfit is simply perfect. All of the pieces work together so nicely, and that bag adds such a fun pop!